We have created this experience to help people improve their public speaking skills. We position users in front of a virtual audience to enable them to practice public speaking without the anxiety of getting in front of a real crowd. 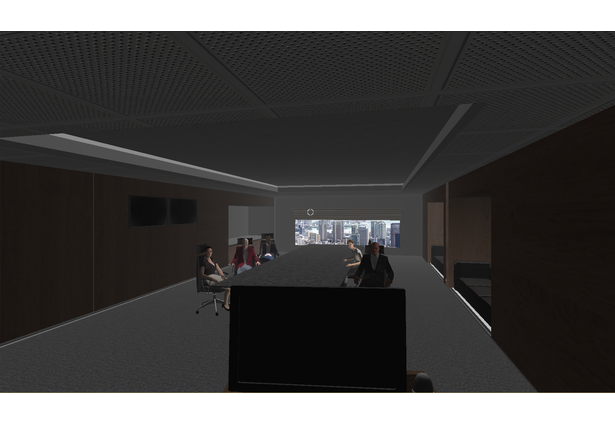 For the VR jam we have focused on creating a professional board room environment complete with slideshows but we are exploring many different environments for the future. The main features are audio recording, the recording of the user's head movement, and playback. 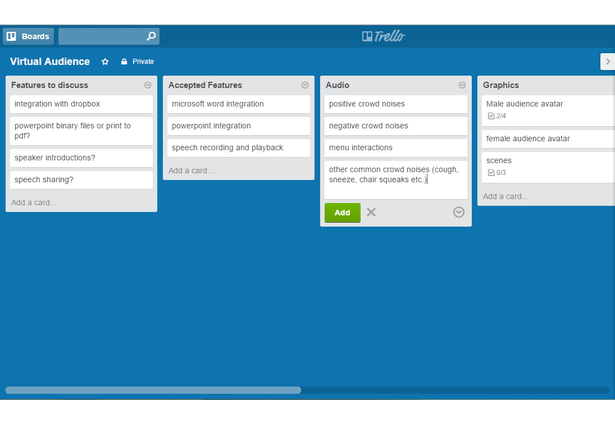 This allows users to record their presentation, hear what it sounded like, as well as see where they were looking throughout it's duration. 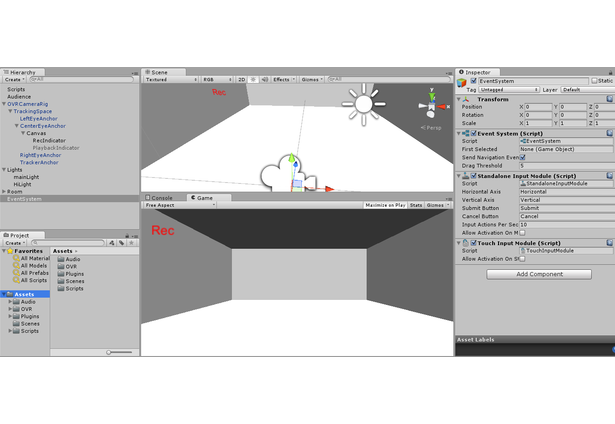 The user is teleported to the audiences perspective during playback and can see a representation of their rotational data and where they were looking in the form of a floating head. Slide transition times are also recorded and shown during playback. In Virtual Audience we tried to eliminate menu's entirely. Everything is controlled with the touchpad and a gaze cursor that utilizes objects in the scene. To start a recording a user looks at the microphone and taps the touchpad, to view the playback they gaze at the speaker and tap the touchpad. We also have forward and back swipe for changing slides (while recording) and navigating the playback (7 sec jump back and 30 sec jump forward). We believe this experience can alter the way people prepare for public speaking and can potentially help millions of people overcome social anxiety, advance their careers, or just deliver the best toast of the night. Because of that fact, this experience will ALWAYS BE FREE. As long as there is community interest we will continue to develop new environments and features. We have tons of ideas for where we want to take this and we are extremely excited with the possibilities! If you have a particular event that you're trying to prepare for feel free to reach out to me and I will send you a build with one of the environments we are working on that is closest to your needs! Some things to look for in the coming months: Dropbox integration (Currently under development, we couldn't get the app permissions working without kicking the user out of VR for the jam). Audience animation and feedback. Speech share (we have successfully uploaded the audio, rotational, and slide data and allowed playback in a webplayer. We would love to see people sharing their speeches from VR to VR in the future). More environments (currently two under development). Secondary reference material (Some notes you wouldn't want your audience to see). More compatible data formats for importing (Currently only supports slides exported as jpeg). Comments for this submission are closed. View the software in Ratstache's portfolio to continue the conversation.